When you ask customers who have worn Timberland footwear to describe their experience in one word, it'll almost always be “comfortable.” Timberland has championed the lightweight, comfortable design of their work boots, launching them to extreme popularity in o ... (see full details) (see specifications) #TB0A1B7F001. When you ask customers who have worn Timberland footwear to describe their experience in one word, it'll almost always be “comfortable.” Timberland has championed the lightweight, comfortable design of their work boots, launching them to extreme popularity in our Lakeville, Indiana, store and online as well. The Timberland PRO series is the brand's best series yet, and when you’re looking for lightweight comfort, this is the place to start. Designed for working in specific environments when static dissipation is a key to overall safety, these Timberland Women’s TB0A1B7F 001 Powertrain Sport ESD Alloy Toe Black Athletic Work Shoes will do the job. Lightweight, athletic, and oh-so-comfortable, these PRO Series Powertrain work shoes are an ideal choice for those who want athletic work shoes with plenty of support built in, too. The safety toe caps used with these athletic style work shoes are lightweight alloy safety toes from the TiTAN last. This means they offer plenty of toe room and won’t weigh you down like steel toe caps will. This Alloy Toe SD+ is specifically designed to help protect you from static charges, meeting safety standards for certain work environments. The Timberland PRO polyurethane outsoles are also lightweight, providing flexible slip- and abrasion-resistant traction with comfort built in as well. These BASF super light PU outsoles are low-density and use Timberland’s famous Anti-Fatigue Technology to keep you comfortable all day long. This molded and inverted cone design supports your feet and reduces the amount of shock they feel when you step, stand, or walk on hard surfaces. This gives you less foot stress and more stamina throughout your work day. These Powertrain Sport women's shoes are lightweight and low cut for the similar performance of your favorite tennis shoes while you work. The premium Ripstop nylon uppers are printed with a hex design for a long-lasting, flexible material that can hold up to abrasions and tears. Ripstop is a unique design that prevents tearing and fraying, so if you do happen to snag these black ESD work shoes on anything sharp, you won’t have to worry about the incident becoming a problem over time. Inside, these lightweight safety toe shoes are made for comfort. The breathable mesh linings promote air flow around your feet to keep them feel fresh while the anti-microbial treatment prevents odor. The conductive polyurethane midsoles provide consistent static-dissipative performance for your protection on the job. The non-metallic shanks underfoot help stabilize and support every step you take while allowing these Timberland alloy toe shoes to remain flexible. When it comes to comfort, Timberland has the perfect formula for flexible, lightweight performance you'll love once you try it. There’s a reason for the reputation this company has built for some of the best lightweight work shoes and boots in the business. You'll love the anti-fatigue features throughout your day and flexibility of the athletic ESD women's shoes have you forgetting that these are work shoes and not your favorite tennis shoes. Enjoy your work day and stay safe on the job with these Timberland PRO Women’s TB0A1B7F 001 Powertrain Sport ESD Alloy Toe Black Athletic Work Shoes, which are available for order right here at Working Person's Store. 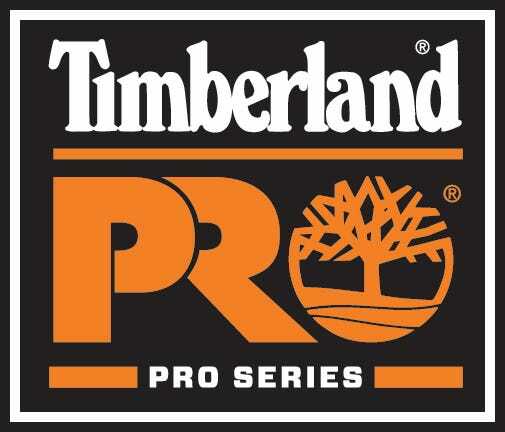 Timberland PRO Shoes: Women's TB0A1B7F 001 ESD Alloy Toe Black Athletic Powertrain Sport Work Shoes is being added to your cart.